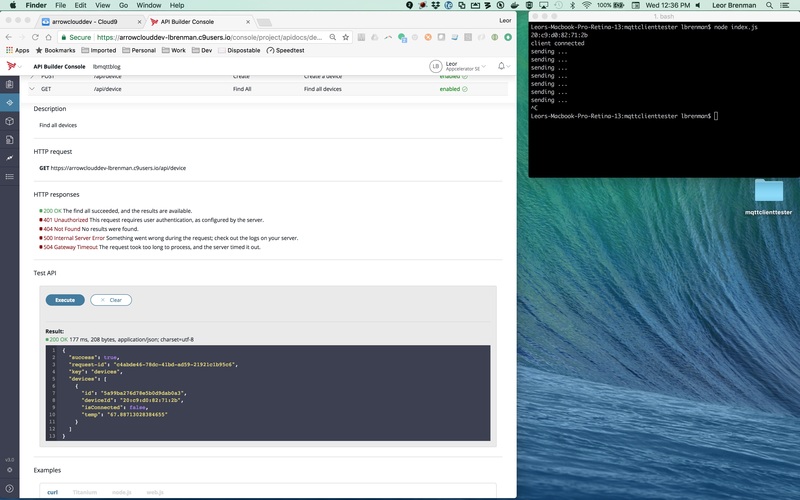 In this blog post, for simplicity, all communication will be from the IoT device to API Builder. In the next post, we’ll show how to initiate communication from API Builder to the IoT device to say, turn on a light. 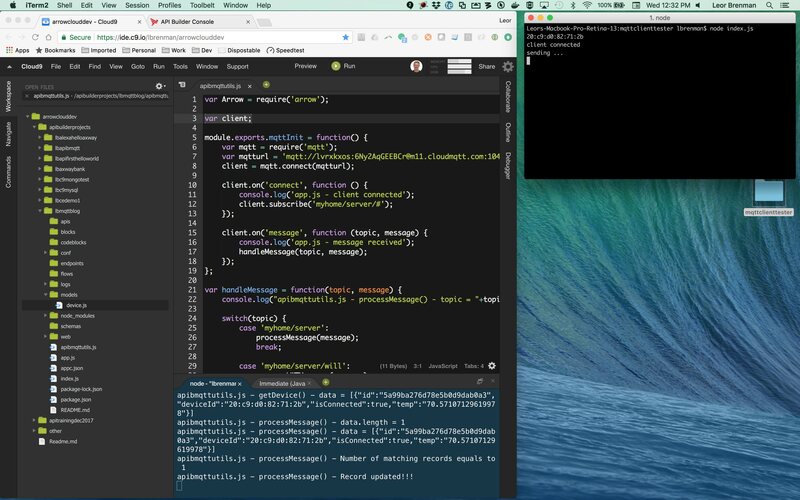 As in the last blog post, we’ll continue to simulate our IoT Device with a Node.js app on our computer. All files referenced for this project can be found here. 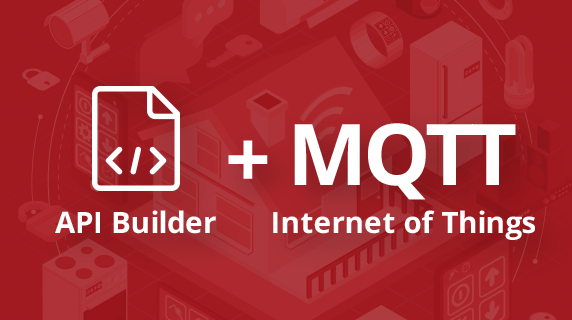 You can read more about the MQTT Last Will and Testament (LWT) here, but the main concept is that when an IoT device connects to the Broker and provides LWT information then the MQTT Broker will automatically send a message on a specified topic when the IoT device disconnects from the Broker. Device disconnect can occur for various reasons, such as if the device loses power (battery drain) or if the network connection is lost. 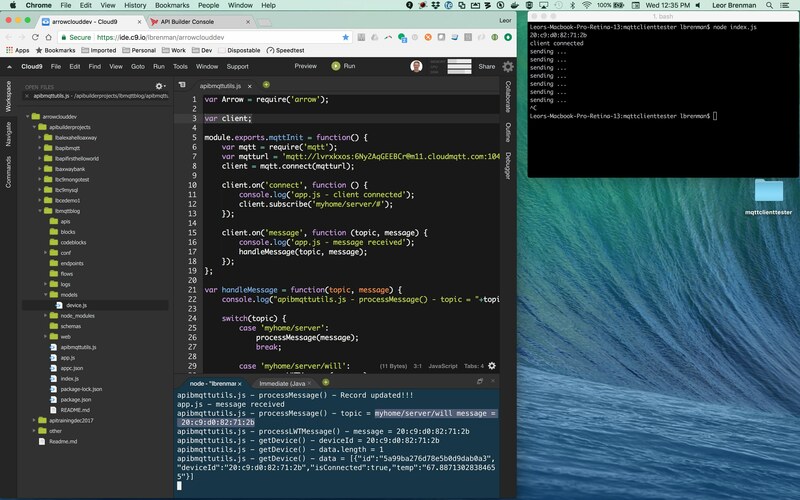 Refer to Part 1 and create a new Node.js project that will emulate your IoT Device. Copy index.js from here. This index.js file is also shown below. Note that you will need to get the CloudMQTT Broker URL info (User, Password, Server Address, Port) and edit the file with this info. This was discussed in Part 1. Now that our IoT Device is up and running, we need to create our API Builder Project and program it to respond to the messages sent by the IoT Device. "description": "Device ID (mac address of IoT device)"
"description": "Is the device connected? Set by the server"
Note that this will also automatically expose APIs for accessing device data via secure REST API. This can be used by your Web/Mobile app to view device status and data. Paste the apibmqttutils.js module file in the root folder of the project. This will contain all of our IOT Hub code and keep our project organized. You will need to edit this file with your CloudMQTT Broker information (user, password, server and port). This was discussed in Part 1. Edit app.js and add the following line to the top of the file below the line that contains server = new Arrow(). Connect to the CloudMQTT Broker. Add event listeners for ‘on connect’ for when API Builder connects to the Broker and ‘on message’ for processing messages sent to the topic ‘myhome/server/#’. The # sign is a wildcard so API Builder will receive messages that are sent on any topic that starts with ‘myhome/server/’. In this example, that covers the LWT message which will be sent on the ‘myhome/server/will’ topic. 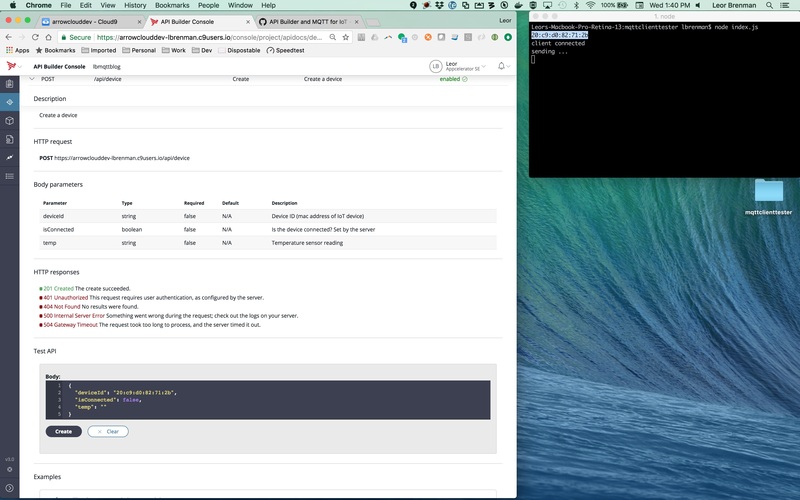 In the screen shot above, you can see the API Builder project, lbmqttblog running in Cloud9 and my IoT Device is running locally on my Mac. Note the IoT Device Mac Address is the first thing printed to the console log on run. In the screen shot above, you can see the API Builder console. I am executing a REST API GET on the device API to retrieve all the IoT Devices, of which we only have one so far. I can see the temperature reading and the connection status. These were set by API Builder in the apibmqttutils.js module we pasted into our API Builder project above. We’ll review the code for that in the next section. In the screen shot above, you can see that the IoT Device code stopped executing because I pressed control C on my computer. The CloudMQTT Broker detects the lost connection immediately and sends the LWT message payload on the LWT topic. You can see in the API Builder console log that this message is received. As we’ll see in the code shortly, API Builder will basically set the device’s isConnected field to false when it gets this message. In the screen shot above, we can see that the device status changed and the device is no longer connected. apibmqttutils.js contains all the code for API Builder to implement the functionality described in this blog post. Let’s review some of the key components. We’ve already reviewed the mqqtInit() method above, so let’s move onto the handleMessage() method which is called whenever a message is received on any subscribed channel. You can see that the handleMessage() method simply responds to the two different messages we expect to receive. One is explicitly from the IoT Device code on the ‘myhome/server’ topic. 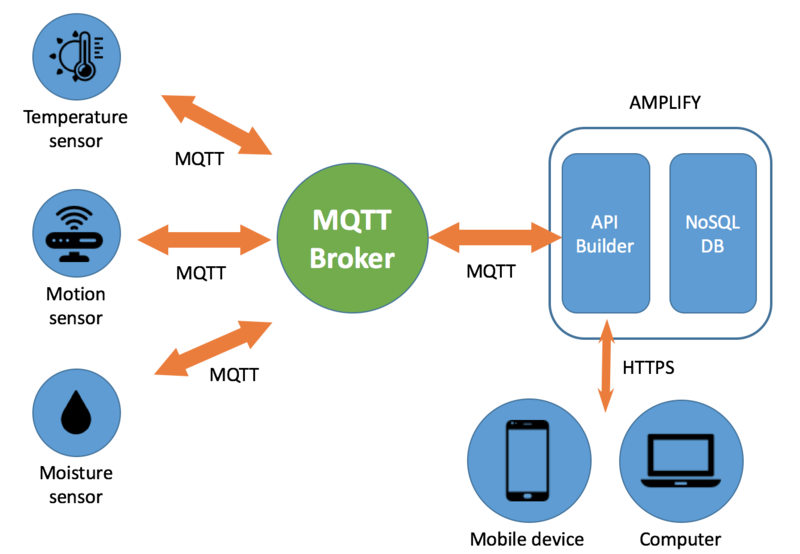 The other is by the Broker on the ‘myhome/server/will’ topic and is as a result of the IoT Device configuring the LWT topic and message payload when it establishes a connection to the MQTT Broker. Finally, I’m also handling unhandled topics. This doesn’t do anything but print to the console so I can know if i am sending messages to API Builder that it’s not setup to respond to. The getDevice() method simply makes a programmatic query of the device database (based on the device’s deviceId) and returns an array of IoT devices. Note that there should only be one record returned. The processLWTMessage() method is similar to the processMessage() method but it simply updates the device record’s isConnected field to false so a web/mobile app can know if the IoT Device lost connection and/or power. In this blog post we saw how we can start to build out an IoT Hub based on API Builder and MQTT. We are able to detect connects and disconnects and store device status and data in the Axway NoSQL Database.